Another commonly confusing Family Law issue for married individuals going through a break up is the topic of Legal Separation. I sometimes hear people ask, “Don’t I just want a Legal Separation?” or “I thought we were already legally separated?”. The confusion exists because there are actually two different issues at play.When the marital relationship has broken down and the couple will be parting ways, a date of separation will be established. The date of separation is important because it determines the length of the marriage and triggers the end of community property. Some people refer to this as being “legally separated”, and it often coincides with the timing of one spouse moving out and into a separate residence. A Legal Separation is an alternative to a dissolution of marriage (divorce). This procedure is used when the spouses desire to go their separate ways but still remain technically married. Examples of situations where a Legal Separation is desired often center around religious beliefs, personal reasons, or eligibility for medical insurance (which might be lost due to a dissolution of the marriage). The process is nearly identical to that of a dissolution; the assets and debts are divided, support obligations are determined, and custody orders are made if children are involved. Unlike a dissolution, a Legal Separation requires the consent of both spouses. If only one spouse desires a Legal Separation, the marriage will be dissolved. 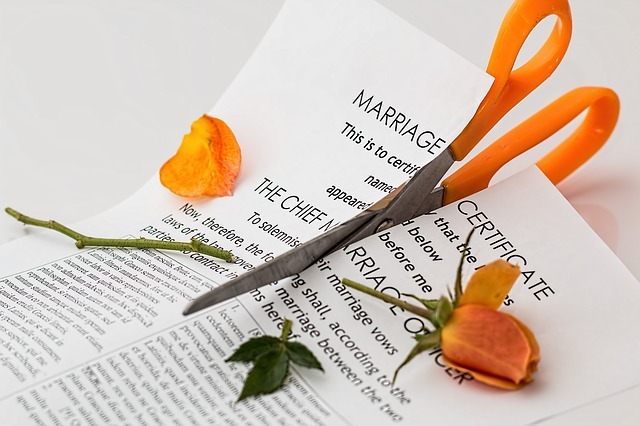 It is also possible to obtain a dissolution of marriage in the future after a Legal Separation has occurred. Am I Required to Wait 6 Months Before Getting Divorced?